I have to say that this series really has me enthralled. There are vampires, werewolves, witches and humans within the pages of these books, making the characters just jump off the pages. I'm having a good time with this series so far. Logan has been a favorite character of mine since meeting him. He was Tristan's Beta wolf until a tragedy forced him to take on alpha status of his own pack. 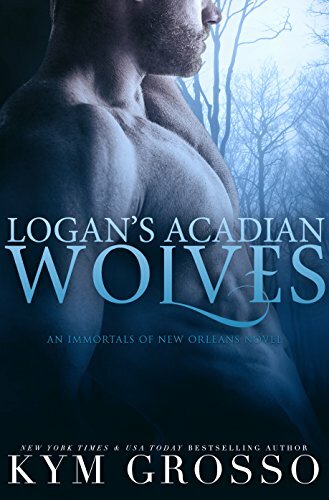 Logan is a different kind of wolf, he has visions and most of the time they come to pass. He's been having visions of a woman but he has no idea who she is until he meets Dr. Wynter Ryan, she's the woman who's been in his visions. There's at least one person after Wynter but she doesn't really understand why or why the wolves think she's like the, a wolf. She's human or at least she was but how did she become a wolf shifter and who did this to her and why? Leopold is a character that has shown up briefly during this series but he makes a bigger appearance in this book and after seeing more of him and what he does in this book, I'm really looking forward to getting to know him better. The fighting, the action, the betrayal and the secrets all make this book so interesting and hard to put down. As with all the books in this series there is a continuation of the story, not a cliffhanger as all of the story line questions in this book are resolved and nothing from this story is left open but you do get to see who will be the main character of the next book.